For bilateral bracing applications, “saddle” sports, and other situations where a single, lateral hinge is advantageous, consider Extreme. 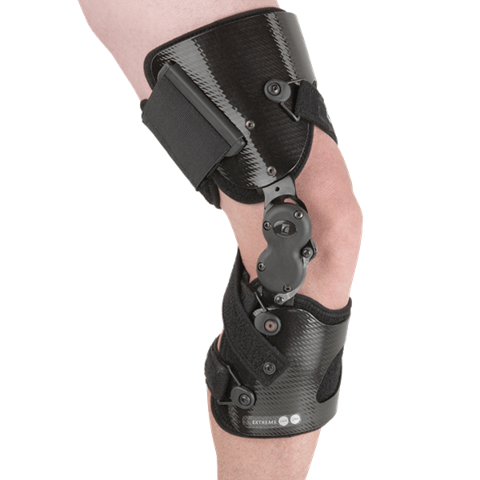 Extreme is durable enough for rigorous athletic challenges, yet its Triax® shells are malleable, offering adaptability to changes in leg size and/or varus/valgus alignment. A carbon steel Poli-axial® hinge and Dynamic Force Strap® combine to provide excellent rotational control and proprioception.